Provide comfort for the family of Rosa Lowery with a meaningful gesture of sympathy. Mrs. Rosa Lee Lowery, 73, of Rock Hill, passed away on Wednesday January 30, 2019 at Wayne T. Patrick Hospice House following a period of declining health. Rosa was born on March 5, 1945 in Chester, SC to the late James and Grace Davis Bennett. She worked for Springs Mill in Chester, SC for over thirty years. Rosa was a loving wife, mother and grandmother. She will be deeply missed by those who loved her. In addition to her parents she was preceded in death by her husband James C. Lowery, daughter Janice Lowery, brother Alvin Bennett, sister Sarah Baucom and granddaughter Christy. Those left to cherish her memory include her children Raymond Lowery and wife Susan of York, James L.
Lowery and wife Angel of Catawba, Bonnie Lowery Gordon and husband Keith of Rock Hill, brothers James and Robert Bennett both of Rock Hill and sister Mary White of Chester. Also surviving are grandchildren Josh, Kenneth, Brandi, Mark Jr., Karen, Austin and Ryan; thirteen great-grandchildren. A funeral service will be held on Saturday February 2, 2019 at 2:00 P.M. in the Chapel of Bass-Cauthen Funeral Home with the Pastor Nate Staton officiating. Interment will follow at Forest Hills Cemetery, Rock Hill. The family will receive friends on Saturday February 2, 2019 from 12:30-2:00 P.M. at Bass-Cauthen Funeral Home, Rock Hill. At other times the family will be gathering at the residence of Raymond and Susan Lowery. In lieu of flowers memorials may be made to Wayne T. Patrick Hospice House, 2275 India Hook Rd., Rock Hill, SC 29732. 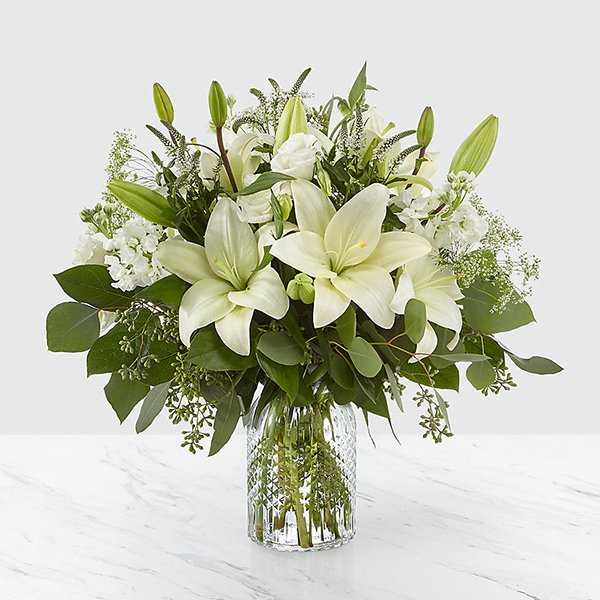 To send flowers in memory of Rosa Lee Lowery, please visit our Heartfelt Sympathies Store. Helping Hands Carpet Cleaning sent flowers to the family of Rosa Lee Lowery. Helping Hands Carpet Cleaning purchased flowers for the family of Rosa Lowery.